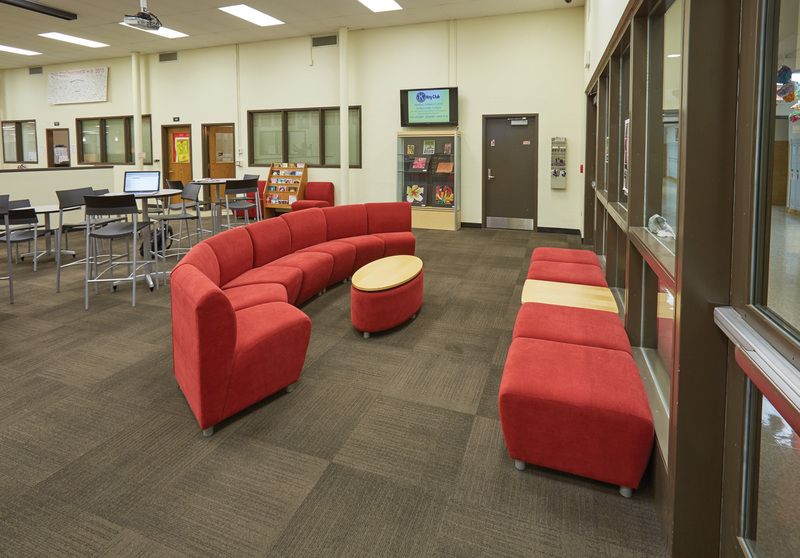 Soft seating just inside the doors of the LRC provide students a comfortable place to relax after a long day of classes. 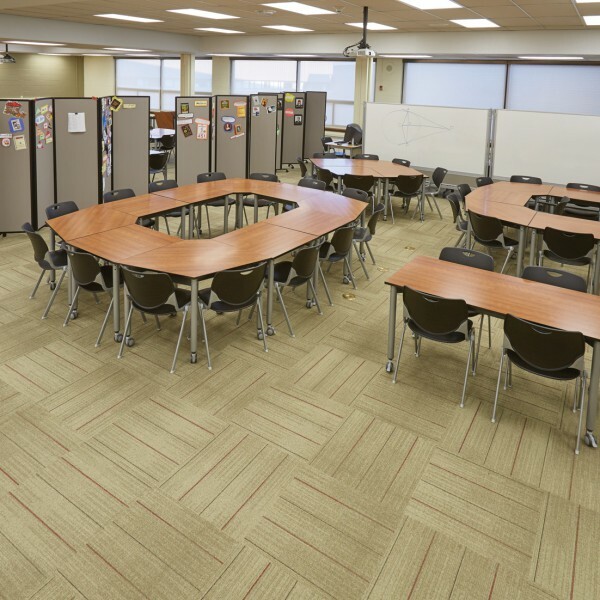 Reconfigurable Kite® Mobile Flip Tables scale to fit the needs of nearly any size group. 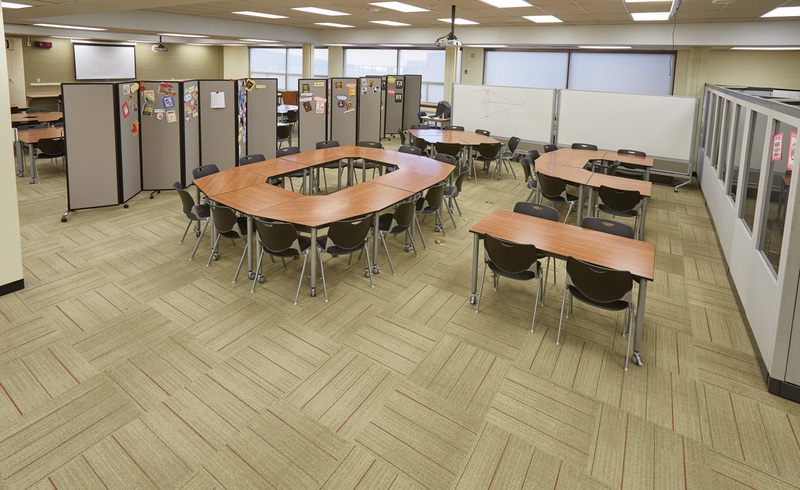 Tackable, mobile divider panels encourage collaboration yet separate the room into different zones. 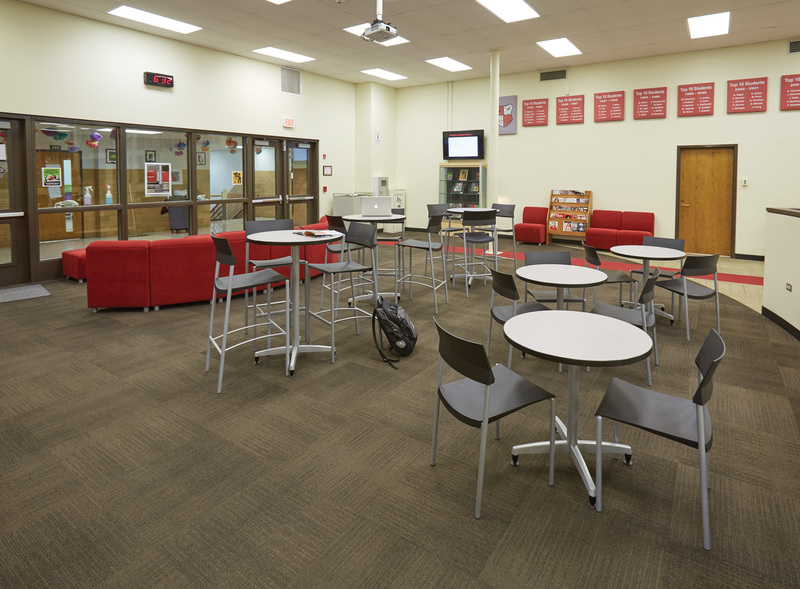 Low and high café tables and chairs invite students into the library and encourage them to hang out. 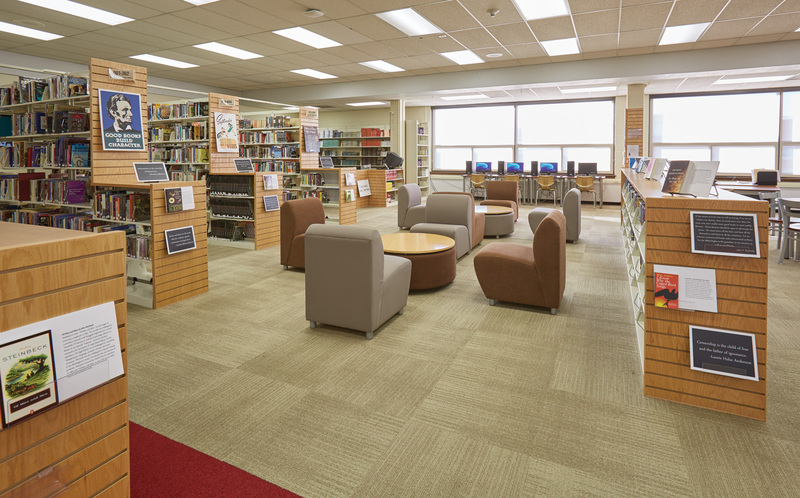 Soft seating and end cap displays welcome patrons into the space. 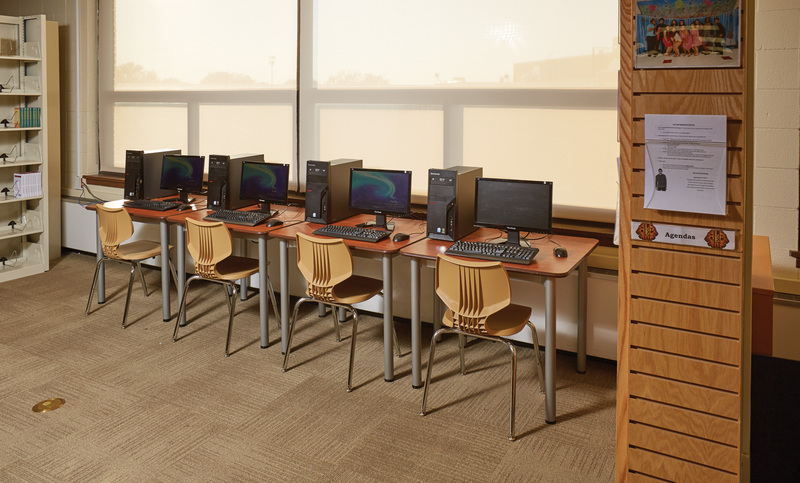 Computer tables are tucked neatly against the far wall to avoid distracting other students. 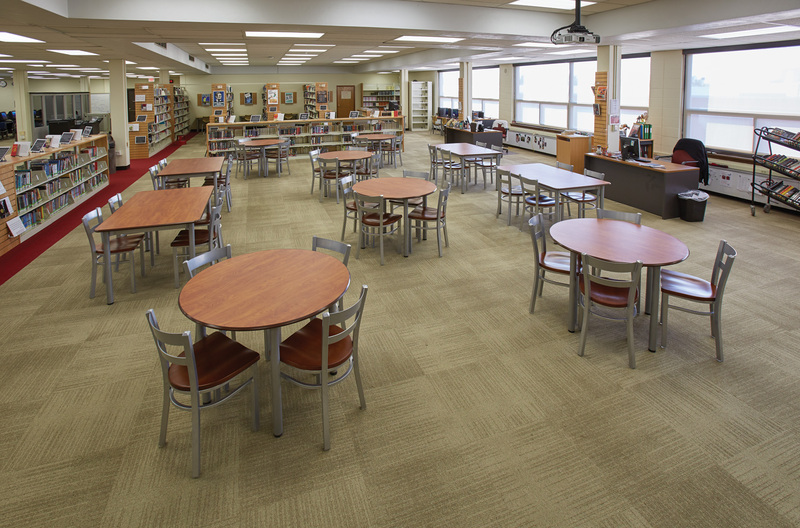 Library tables facilitate small group or individual work. 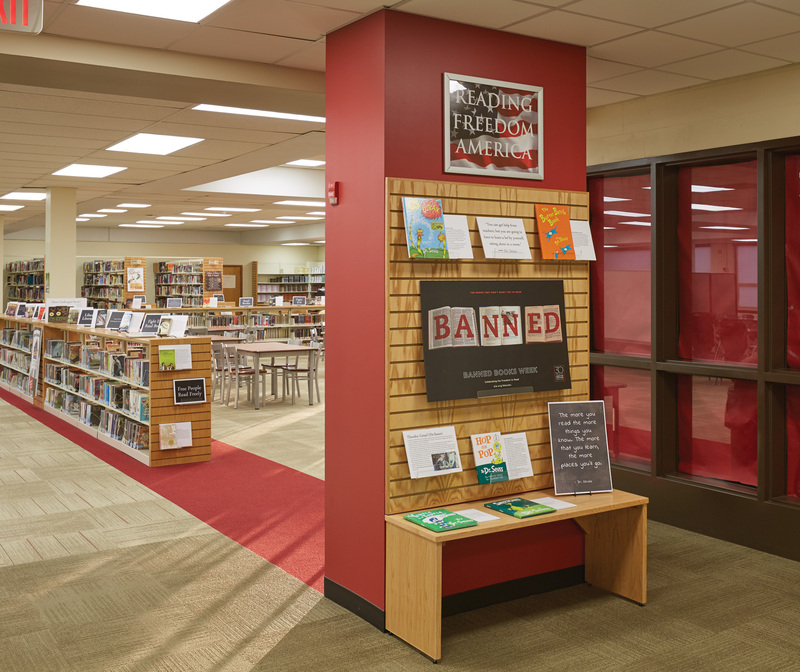 Custom pieces to fit specific needs, such as the display shown, are just some of the many capabilities that DEMCO Interiors offers to customers. 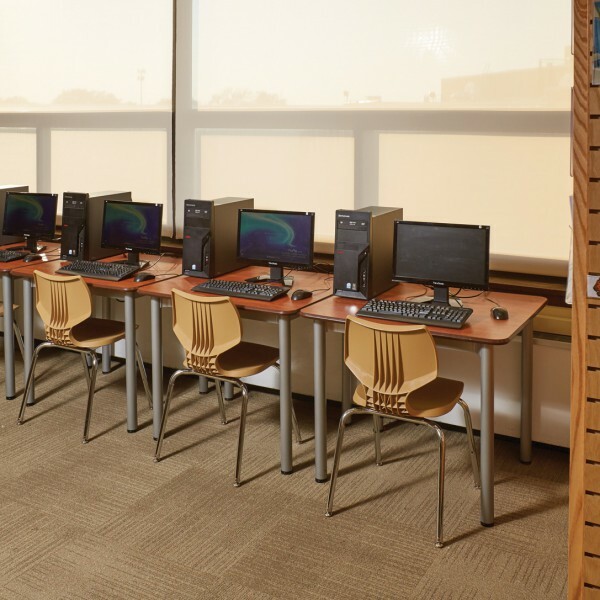 On the South Side of Chicago, a diverse school community is now using Eisenhower High School’s new Learning Resource Center (LRC). 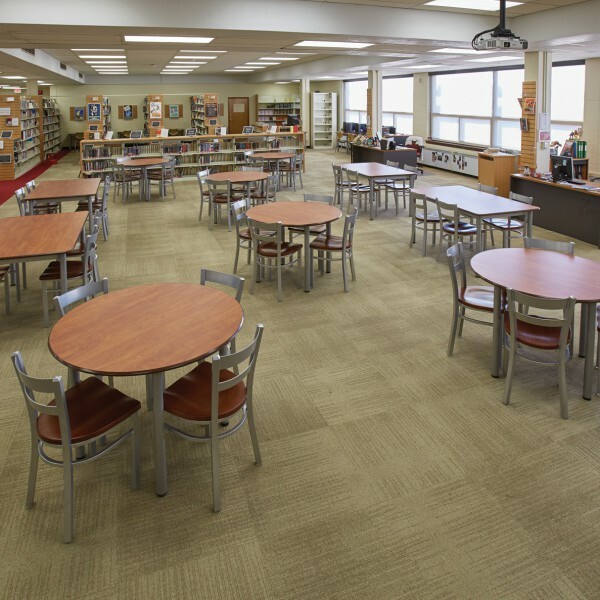 The flexible and versatile layout and furniture accommodate classes, presentations, community meetings and more. 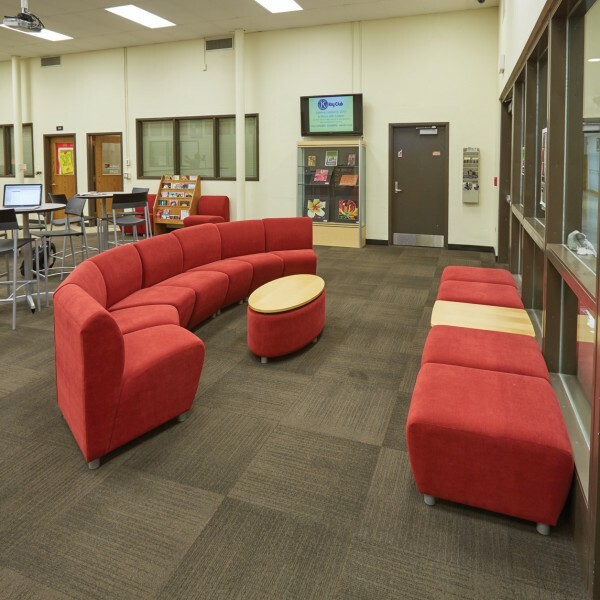 Designed by DEMCO Interiors, the open concept floorplan features several seating options and study spaces. 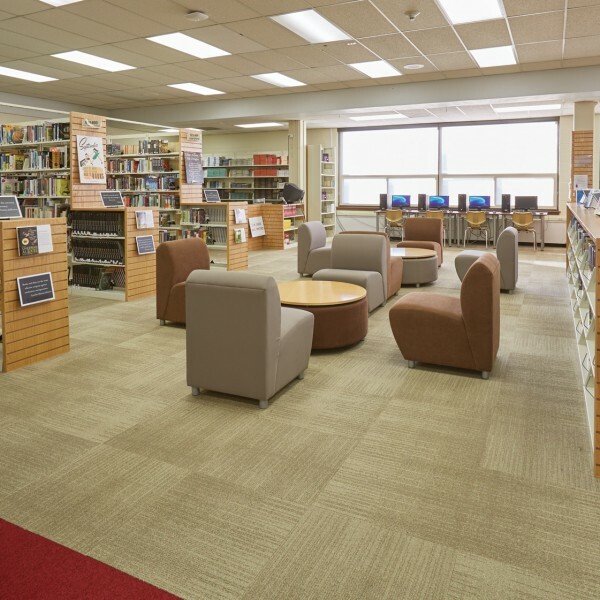 Casual lounge chairs, café tables, Kite® Mobile Flip Tables and computer stations are key to the space. 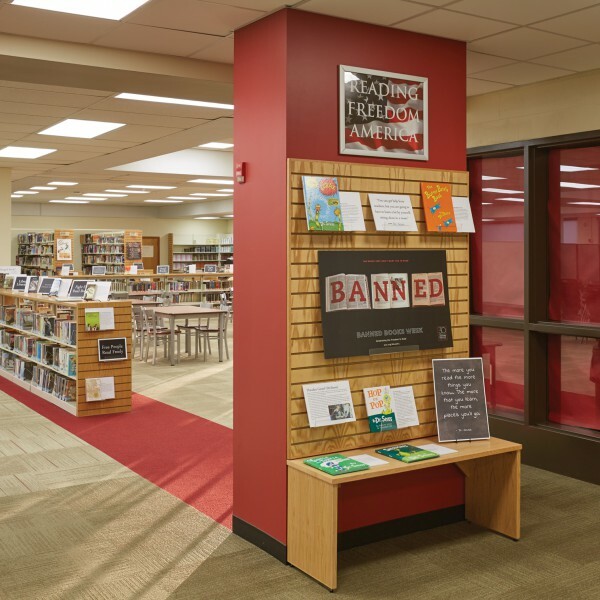 Mobile, tackable divider panels help separate the space. 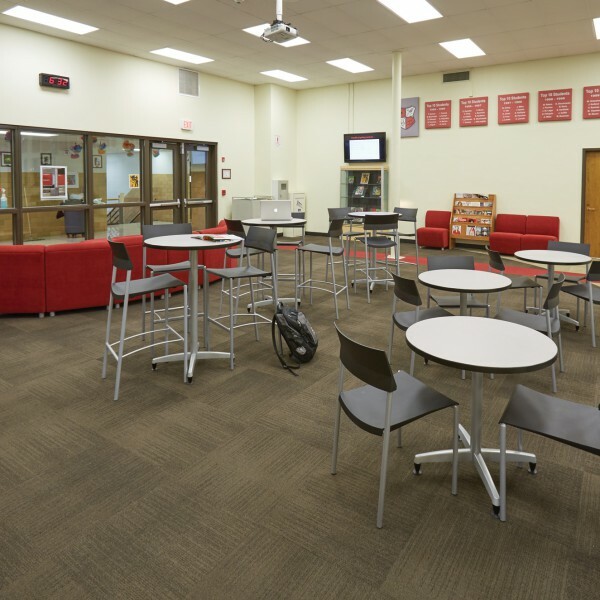 The updates position the school well for both present needs and the future.